exists of roughly of 2.818 species. 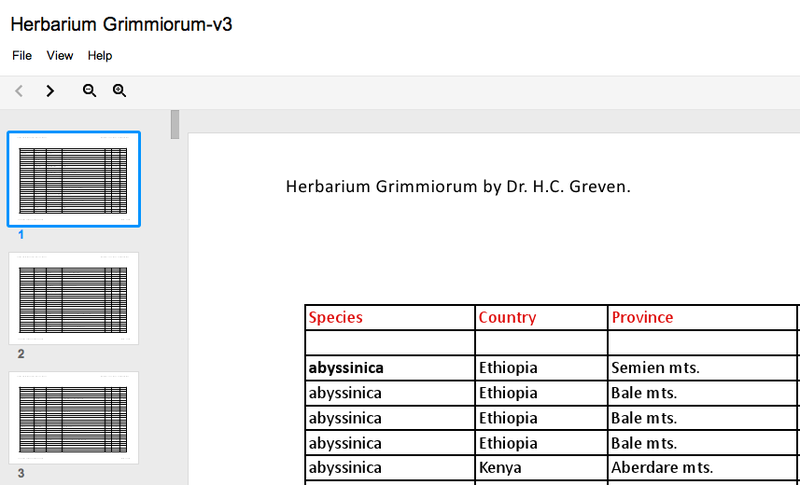 The enlisted Herbarium Grimmiorum is available for reference. You can download the free, opensource office-software suite LibreOffice to open the following file.